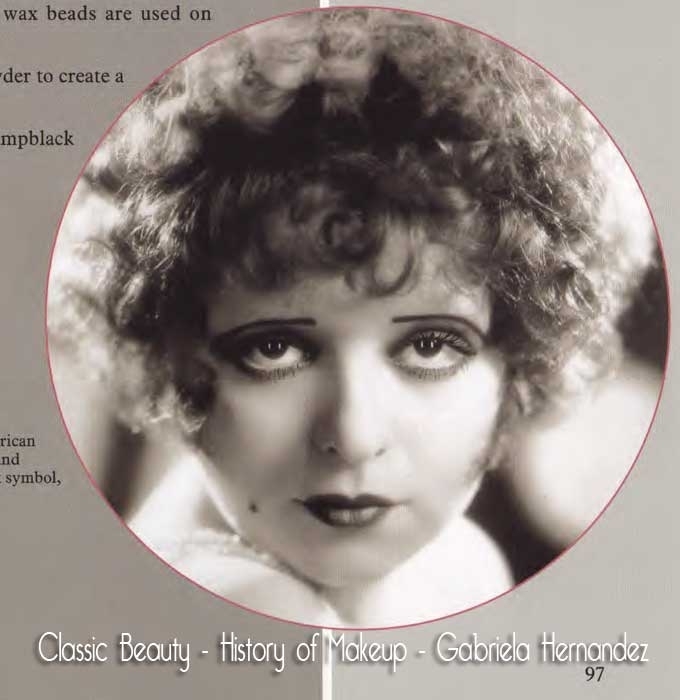 The 1920s Face – Five Top Makeup Tips by Gabriela Hernandez. 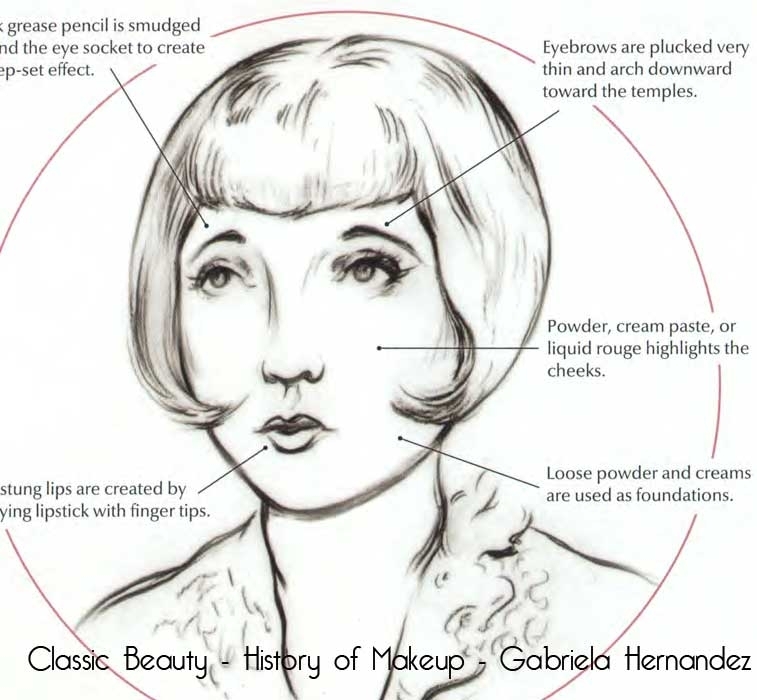 – Gabriela Hernandez shares some key secrets for achieving the classic 1920s makeup look. First – apply a thick layer of moisturising cream. Then, using a puff – dust over with plenty of powder, slightly lighter than your skin. The cream acts as a fixative. The idea is to create a doll like expression. 1920s eyes – Add belladonna to the whites of the eyes for a sparkle effect. Black grease pencil is smudged around the eye socket to create a deep-set effect. Dust the eyelids in dark shadows of green, emerald blue or lampblack. For early 1920s eyelashes, use a tinted Vaseline and apply with a brush. 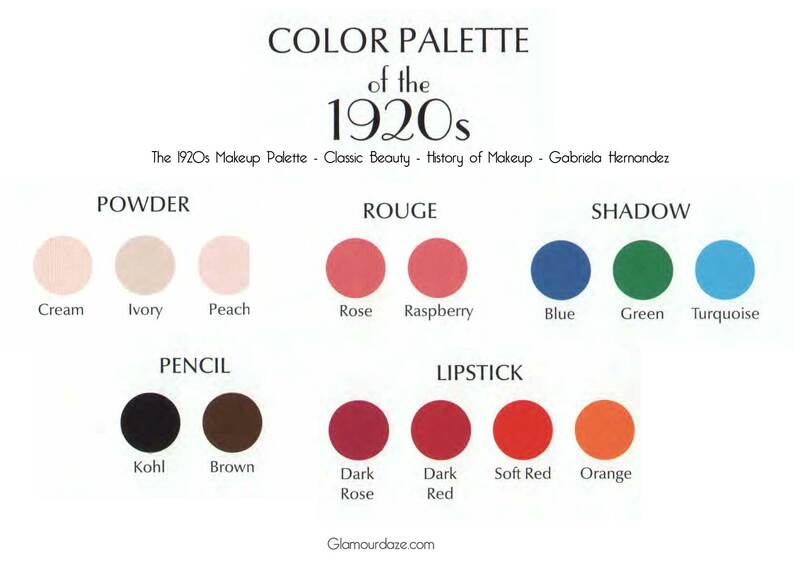 1920s Rouge – Rouge in rose or raspberry colors, is applied to the cheeks in a blended circle. For creams or liquid rouges – apply before powder, on the lower apples of the cheeks. powder is applied on top to soften the look. For powder rouge, apply after the loose powder foundation and then soften with a second application of light powder. For daytime, rouge is applied to the apples of the cheek and blended well, however for evenings a circle of rouge is used and blended only at the edges, leaving a stronger color in the centre. 1920s Lips – Go for the Bee-stung, or Cupids Bow look on upper lip. Do this by adding two prints of your index finger to the upper lip, and one print to the lower lip, using a thick waxy color and avoid the corners of the mouth! Lip colors are predominantly dark rose, red or orange and came in pots, liquids or metal cases. To finish – dust plenty of loose powder over face. from Classic Beauty – The History of Makeup. Download beautifully restored vintage make-up guides. For more on 1920s makeup – see The History of Makeup – 1920s.